We know we'll get to watch at least one proposal go down on Bachelor in Paradise, but could there be more? E! 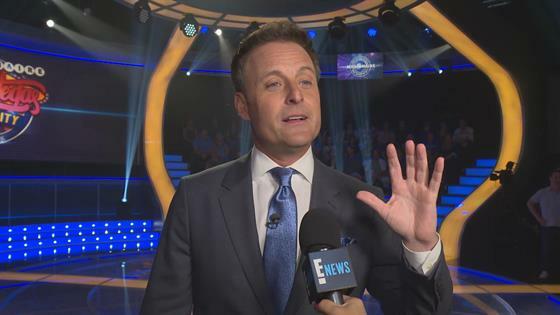 News caught up with Chris Harrison on the Las Vegas set of his other show, Who Wants to Be a Millionaire, and tried to get some scoop on just how successful this season of Paradise is going to be. We've already heard that we'll get to witness the beautiful moment when, finally, after three years of back and forth, Jared Haibon proposes to Ashley Iaconetti on the same beach where her ex-boyfriend happened to be living for the summer, but for now, the end of this season is still somewhat of a mystery. "I won't tell you how many or if it's official, but yes, beyond obviously Ashley and Jared—which is the miracle of all miracles, let's face it. How that happened, wonders never cease. But love will be found in paradise," Harrison tells us. Of course, the other thing that most of the world wants to talk to Harrison about is who will be named the next Bachelor, and he says the decision has not yet been made. "Because of Paradise...we have kind of a wait and see attitude," he says. "We have that luxury to wait a little bit because we don't start production until Paradise ends, so we want to get a full range and a full scope of everything and take it all in before we make our final decision." While that final decision has not yet been made, it is constantly being discussed. "Pepole have to understand it's less of a decision and more of an ongoing debate that lasts months and months, but we will name a Bachelor soon," Harrison says. "Or Bachelors, or who knows?" For all the latest on the decision—including who's in the running—check out our interview with ABC SVP Rob Mills.